For most businesses, recurring payments are a viable way to increase revenue. However, merchants must mitigate the risk associated with these payment plans so they don’t turn into a liability. Recurring payment chargebacks can negatively impact a business’s longevity and the bottom line. 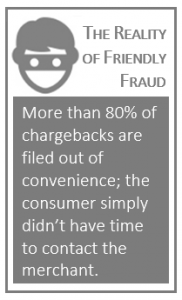 Chargebacks are a consumer protection mechanism. They were designed to protect consumers from fraud, whether executed by criminals or unscrupulous merchants. Merchant fraud can easily be tied to recurring payments. Unsavory merchants use the fine print to hide their agenda; customers unwittingly agree to things they would never authorize under normal circumstances. This can understandably lead to a good deal of anger and distrust. Fortunately, consumers have the option to file recurring payment chargebacks in situations where merchants behave badly. However, these days, the bulk of recurring payment chargebacks are not caused by merchant fraud. They are caused by a different type of criminal activity: friendly fraud. Rather than call the merchant to cancel a recurring payment plan, the cardholder uses whatever excuse necessary to secure an illegitimate chargeback from the bank. Friendly fraudsters often commit this genre of cyber shoplifting because it is seen as a no-hassle solution. To ensure recurring payment plans increase revenue, not decrease it, merchants need an all-inclusive management plan that includes both prevention and representment. What causes your recurring payment chargebacks? Merchant error, criminal fraud, or friendly fraud? 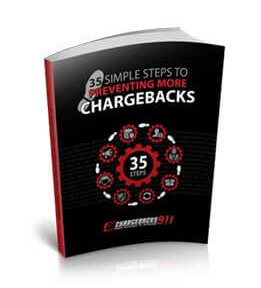 If you haven’t already, be sure to download our free chargeback prevention eBook. We outline 35 different prevention strategies that help mitigate risk in general. Basically, preventing chargebacks associated with recurring transactions comes down to business best practices. Eliminating merchant errors is possible; then, all that’s left to do is dispute friendly fraud. Merchants shouldn’t hide important billing information in the fine print. Clearly outline the terms and conditions. If customers fully understand what they are agreeing to, they won’t feel betrayed. Marketing bait-and-switch tactics should be avoided too. Businesses shouldn’t make promises they don’t intend to keep. People want to feel heard. They want to know that if they’ve got a problem with merchandise, services, or the billing process, that there will be a real human there to answer their questions and solve the problem. Customer service representatives are the business’s connection to the consumer. When consumers feel wronged and are on the verge of a recurring payment chargeback, it’s imperative that their customer service experience is exemplary. Train employees regularly. When there’s an update to terms and conditions, make sure they know about it. Equip employees with all the education and verbiage necessary to deal with complaints and disputes so they are prepared to resolve them effectively. Customer service reps are a key part of a business’s chargeback prevention plan. Billing descriptors are the short descriptions used on credit card statements to explain the transaction. If cardholders don’t easily recognize the purchase, they are likely to file a chargeback out of confusion. If recurring payments are scheduled over a long period of time (say, every three months), it is especially important that the customer quickly and easily recognizes the purchase. Merchants need to double check with the acquiring bank to review how the billing descriptor is displayed on the statements of all major card issuers. Consider adding a phone number or web address to the descriptor. List applicable policies on the website and make them readily available to customers. Sometimes it’s necessary to change the wording of certain policies. When merchants make updates, they need to send customers a copy. Merchants might even consider adding a consumer feedback page to the website so terms and conditions can be updated based on customer needs and suggestions. Use traditional fraud detection tools like AVS, card security code, and 3D Secure. In the recurring payments contract, include any additional fees (especially those that pertain to cancellation or early termination). Inform customers about any payment plan alterations: the payment schedule, the charge amount, etc. Allow customers to cancel the recurring payment if increased fees cause concern. Offer a no-strings-attached cancellation policy. Fulfill cancellation and termination requests promptly. Because the vast majority of recurring payment chargebacks result from friendly fraud, it is important to fight all illegitimate chargebacks. Not only does the representment process recover lost revenue, it also helps improve the merchant’s reputation among issuing banks. Issuers assume merchants are to blame if they don’t fight a chargeback. Representment tells the bank the merchant is not at fault and more due diligence is needed to verify the validity of chargebacks. If merchants adhere to business best practices and take the necessary steps to prevent transaction disputes, they can fight illegitimate recurring payment chargebacks with confidence. If you’d like help managing chargebacks, let us know. Chargebacks911® offers all-inclusive service plans and on-demand assistance. No matter what your needs are, we can help.